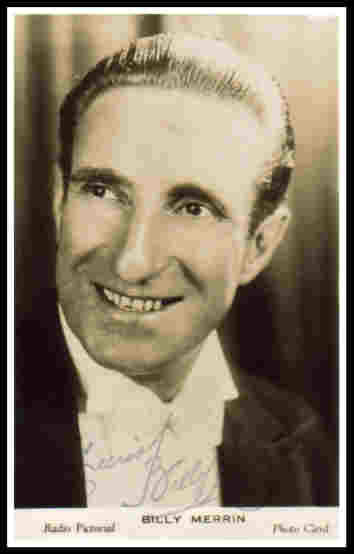 ...... comedian Ronald Frankau; Jessie, The Child Impersonator and The Dorchester Girls. 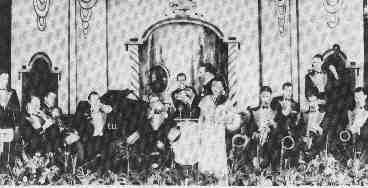 years he studied the banjo, mandolin, piano and much later alto saxophone. formed a novelty dance group with bookings around Nottingham & Birmingham. Nottingham in 1931. Because of various broadcasts he became very popular. recording over 80 sides for Sterno and Plaza during 1934 alone! 3. He discovered singer Ken Crossley at a Nottingham crooning contest. Ken had previously worked as a bricklayer on building sites. played summer seasons at Herne Bay, Kent, UK. and toured variety theatres for nine years. at the age of eighty. 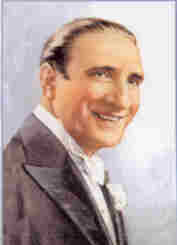 There are two excellent CDs of Billy Merrin & His Commanders, released on the Vocalion label.